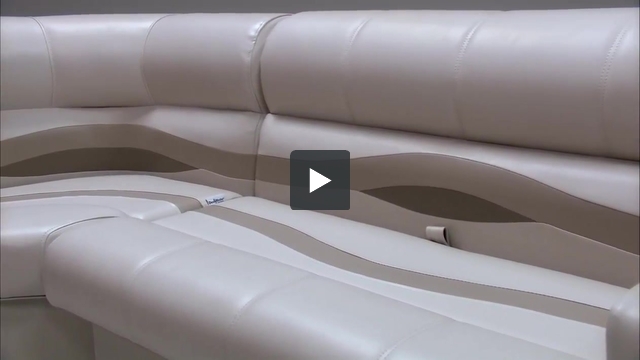 These pontoon boat seats make up our Premium PRG1576 pontoon furniture set. We ship all pontoon furntiure orders the same day if order by 4 EST. It is a about a 5 day transit time to your location. Does this seat set come with all the necessary hardware for installation? Yes. All of our Pontoon Boat Seats will come with the appropriate hardware to install them. I have a 2003 Crest Pontoon by Maurell 22' (Caribean) pontoon boat. Looking for seat/bench replacement. also, it is an I/O, so there is a sun deck lid in rear ( which when lifted you see the merc engine). Do you have a set that can be obtained for the specific boat, or do we have to measure each seat/bench? 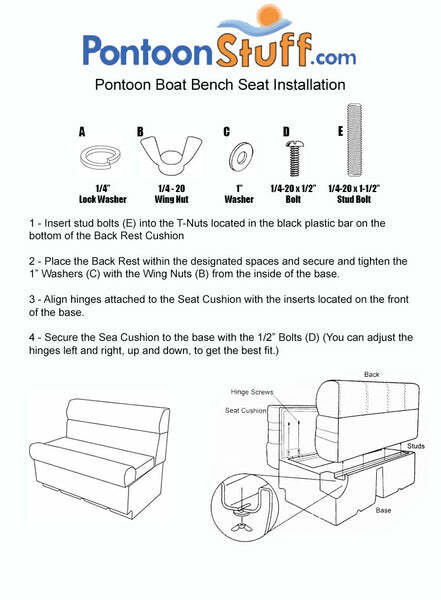 Please follow the link: https://www.pontoonstuff.com/pages/replacement-pontoon-boat-seats this will take you where you need to find the measurements we need to find the best seating for you.